Tyler The Creator is ready to release another collection with Vans. The rapper previewed the shoes on his Golf Wang website. The Old Skools will be available in four styles: pink with black and white checkerboard; orange with blue and green checkerboard; blue with red and white checkerboard; and yellow and blue with a red wave. The collection is expected to be available for purchase August 29. 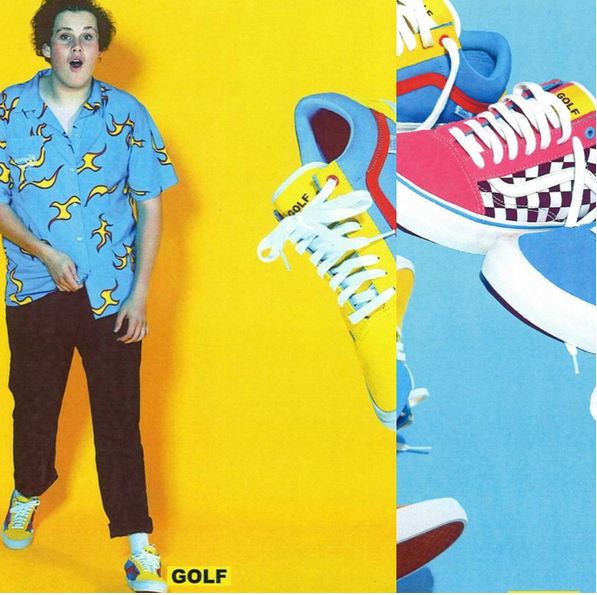 So proud of @nathaniel__leshem selected by #tylerthecreator to help launch the new #golfwang × #vans collab.